We Are The Trusted Source For All Things Acura in the Greater Wallingford Center, New Haven, Milford and Fairfield Areas. 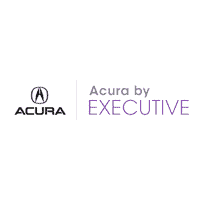 Helping you find your next car is only the beginning of the Acura by Executive experience, though. From there, our team of financing experts will help you drive home that car you’ve been eyeing on your terms! Of course, nobody wants to be forgotten after the purchase of a new or used Acura. That’s why we staff a state-of-the-art auto repair center, highly trained and equipped with the latest Acura parts. Interested in utilizing one of our areas of expertise? Contact us online or come visit us at 527 Washington Ave North Haven, CT for all your automotive needs, and an experience that’s satisfying, worry-free, and at your convenience.